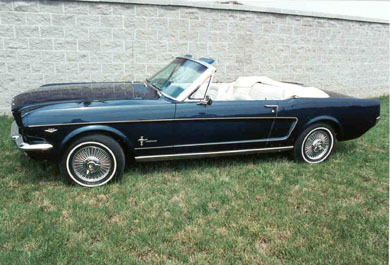 "Blue Velvet" is a 1964 1/2 Mustang convertible owned by Chuck and Ruth Truesdale of Cincinnati Ohio. 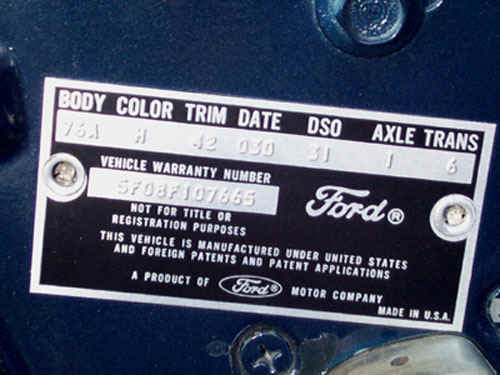 She was built on April 3, 1964 less than a month after Ford started building and was on the showroom floor at a Cincinnati dealership when Ford opened sales on April 17, 1964. Those wire wheel covers are the originals. Accent stripe is white. As far as Chuck and Ruth know, "Blue Velvet" is one of the oldest running Mustangs in the southwestern Ohio area. 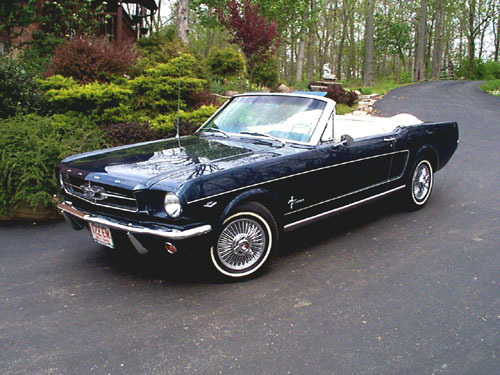 This beautiful Mustang received a ground-up restoration about 8,000 miles ago. 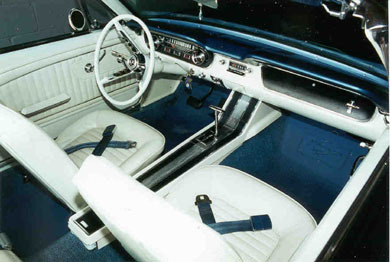 Note the optional center console and deluxe front seatbelts. AM radio is original. Exterior color is code H - Caspian Blue. Original 260-2V V8 engine with power steering. Note the Eaton power steering pump. 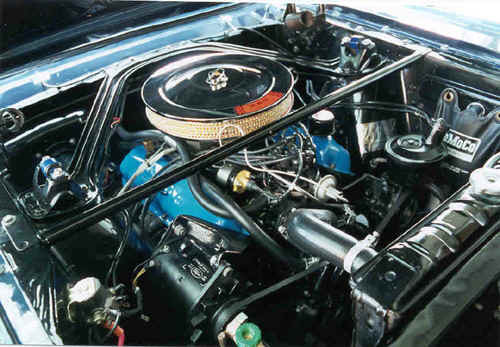 Also note the generator, the black engine block, and the light blue valve covers. The car is also equipped with backup lamps and the Accent Group Option. This car has all the unique characteristics that identify it as a true 64.5 model, including accent-colored door lock knobs, non-adjustable passenger bucket seat, big frame rail mounted horns, and the center-off heater fan switch.